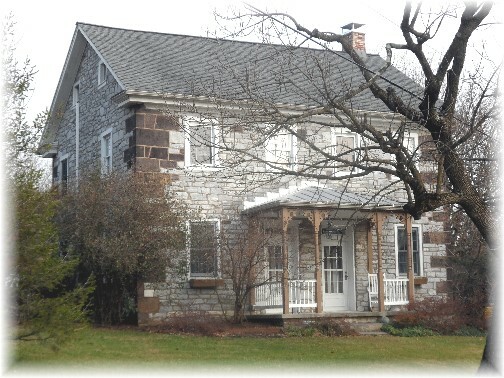 This stately old stone farmhouse is near Hershey, PA. Message summary: We may not be able to keep “keeping cake” very long but “keeping grace” will always keep us! “Surely the LORD is in this place, and I was not aware of it” (Genesis 28:16). But you, beloved, building yourselves up on your most holy faith, praying in the Holy Spirit, keep yourselves in the love of God, waiting anxiously for the mercy of our Lord Jesus Christ to eternal life” (Jude 1:20-21). During the holiday season Brooksyne enjoys baking for us and others. Yesterday she made English Toffee candy from a recipe her aunt had given her when she was in Colorado last month. She had great incentive after her Aunt Mary made a delicious batch while she visited. In fact she tucked a few pieces of toffee away in her suitcase for me. One of her favorite baking projects for many years has been “Keeping Cake” which she gives away at Christmas. It’s a combination of cranberries, brown sugar, glazed pecans, etc. She tries to make it early since the fruit mellows and blends over time. It will keep up to 3 months in a dry, cool place, thus the name “keeping cake”). However in our home it doesn’t usually have the opportunity to improve over time since we tend to eat it too quickly. We don’t always practice the “keeping” but rather apply the “eating” aspect to this cake! But the recipe name does prompt a spiritual thought we’d like to consider today, keeping grace. 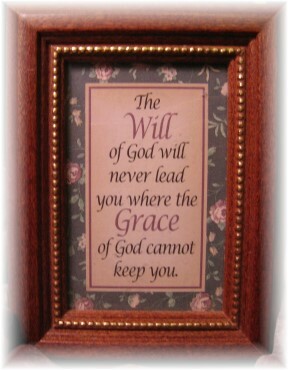 We may not be able to keep “keeping cake” very long but “keeping grace” will always keep us! 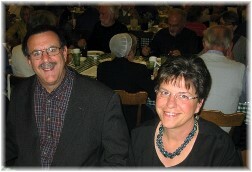 One of the great joys in ministry is encouraging others based primarily upon the Scriptures, God’s most certain Word. Encouragement can come from all parts of the Bible as we will share in today’s encouragement. The first daily text is from a story involving Jacob, who had just fled from his parent’s home. He was a real rascal at this time, having stolen the birthright from his older brother, Esau, and later deceiving his father, Isaac, in obtaining the blessing that should have gone to his firstborn son, Esau. He was fleeing in fear from his angry brother Esau, who had vowed to kill him. Traveling till the sun had set he finally laid down to sleep using a cold, hard stone as a pillow. Ouch! These are not normally the conditions conducive to hearing from God, let alone getting a good night of sleep. Jacob was surely not seeking any spiritual encounter that night. But at this very time God spoke to Jacob in a vision, essentially assuring him of His plan for Jacob’s life which would also bring about the fulfillment of His promises to his grandfather, Abraham. When Jacob awoke Scripture declares that he made the observation in our daily text, “Surely the LORD is in this place, and I was not aware of it.” The part of the passage that particularly intrigues me is the phrase, “I was not aware of it.” May we always be aware of the Lord’s presence, even when we can’t see Him at work in our lives! Nearly 4000 years later God is still speaking and meeting with His people today; not only in churches but wherever, whenever, and however He wants to get our attention. We have a much fuller revelation of God’s promises than Jacob and we know His Word declares some great assurances. Finally, today let us consider the simple word of “keeping grace” from Jude in our second daily text, “Keep yourselves in the love of God”. God is always faithful to do His part. Today, receive these great promises with joy and anticipation, fellow believer! Whatever your circumstances, however difficult or even hopeless they may seem; remember, the LORD is always with us. May we always be aware of His presence, even in the night hour, along with His keeping grace! Daily prayer: Father, I am very grateful for Your continual guidance in my life and for Your steadying hand when the foundations are shaken. Lead me to the towering rock of safety, for You are my safe refuge. In Your presence I find renewed hope, resurging strength and safety beneath the shelter of Your wings! Your unfailing love will uphold me and Your sovereign presence will never leave me nor forsake me. What joyous blessings these promises unfold in my life day by day as You will never lead me where Your grace cannot keep me. Thank You for Jesus in whose name we pray! Amen. Observation: As I look back over my life it seems that God’s voice tends to be clearest in the tough times. Likely that’s because I am most sensitive to the Spirit’s leading in these situations. Although we want to avoid the tough times, I believe God providentially allows us to go through them so that He can instruct us and guide our lives. That’s why I so often pray for myself and others that God would give us grace and maturity to actually rejoice during hard times and when the doors seem closed. I make these small loaves for food gifts at Christmas. One year, after baking and washing the rectangular ceramic dishes, I asked Stephen to put them away in the highest cabinet shelf to save me the extra time it takes to get a stool. He willingly agreed and as he did so I heard this loud, crashing sound that just seemed to go on and on. Imagining the worst I turned to see him using his hands as a shield to protect his face as the dishes tumbled forward onto him and then the ceramic tile floor. The next thing you know Ester races into the kitchen with camera in hand flashing pictures of Stephen and the mess he had just made (she’s learned “quick camera action” from her dad.) It became a very laughable experience. Fortunately only two out of five dishes broke, probably because he became the padded buffer. Prepare loaf pans by spraying with Pam. In large saucepan combine 6 oz (1/2 pkg.) of cranberries, ¾ C. sugar and ½ tsp. orange peel. Bring to boil, stirring constantly until berries pop and mixture thickens. Remove. Add 1 stick butter to melt and other 6 oz. of cranberries, chopped. Cool. This will make about seven very small loaves or two large loaves. Bake at 350 for about one hour or till done (less time for small loaves). Cool in pans for ten minutes before removing from pan and inverting on cake rack. Wrap cakes in foil at least one week to age in cool, dry place. I sprinkle unrefined raw sugar or large sugar crystals inside the sprayed loaf pan before pouring batter in pans and on top of the batter after filling the loaf pans. Keeps up to three months in cool, dry place. Freezes nicely as well. From Leisure Arts, “Gifts of Good Taste”, P. 29. No Mixer needed for this recipe. I usually serve this more as a sweet bread with soft cream cheese than I do a cake. When I give this as gifts at Christmas it comes up a winner! !